Crystal Hot Sauce 12 oz. 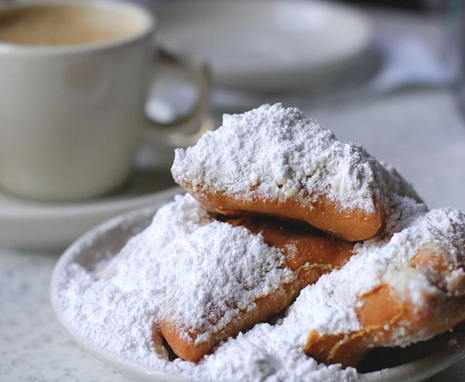 The Answer: Beignets! 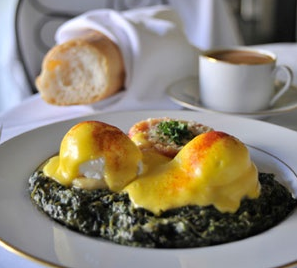 Eggs Sardou was created at Antoine’s, named after French playwright Victorien Sardou, and remains one of the grandest of the grand New Orleans egg dishes, of which there are many. I boiled fresh artichokes for this recipe, but it would certainly be alright to use good quality canned Artichoke bottoms, in fact, I wish I had, it wasn’t worth the extra effort and cost. 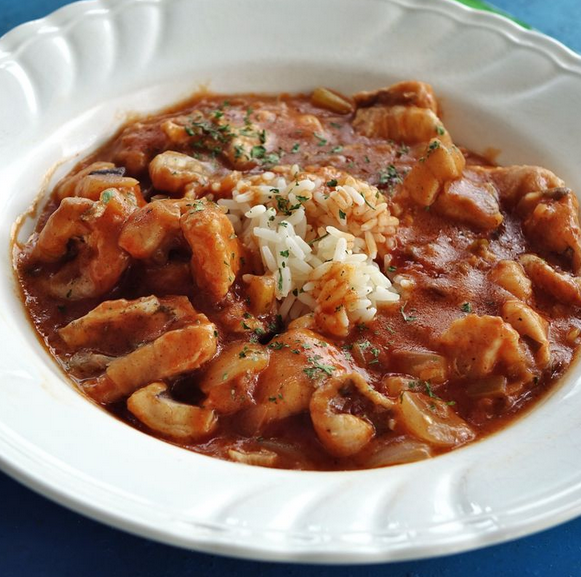 To prepare an easy version of seafood courtbouillon, the classic New Orleans-style seafood stew, use Zatarain’s® Etouffee Base. 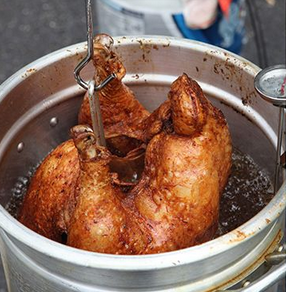 We're not sure why deep-frying the Thanksgiving Turkey is so popular. It might be an ongoing obsession with Southern cooking, or a collective weakness for culinary gadgets. Or, perhaps the inherent excitement of cooking a whole turkey in several gallons of hot oil in your own backyard is just too much to resist. No matter the reason, we're fully on board with the deep-fried-turkey craze and here's why: Not only does deep frying produce a juicy, flavorful bird, but the whole process takes less than 2 hours and it frees up tons of oven space for all your favorite side dishes. 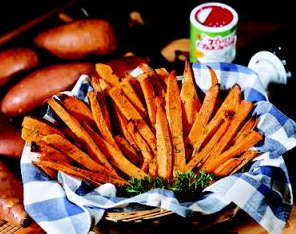 OvenFried Sweet Potatoes made with Tony Chacheres Creole Seasoning and fried in the oven for 45 minutes.